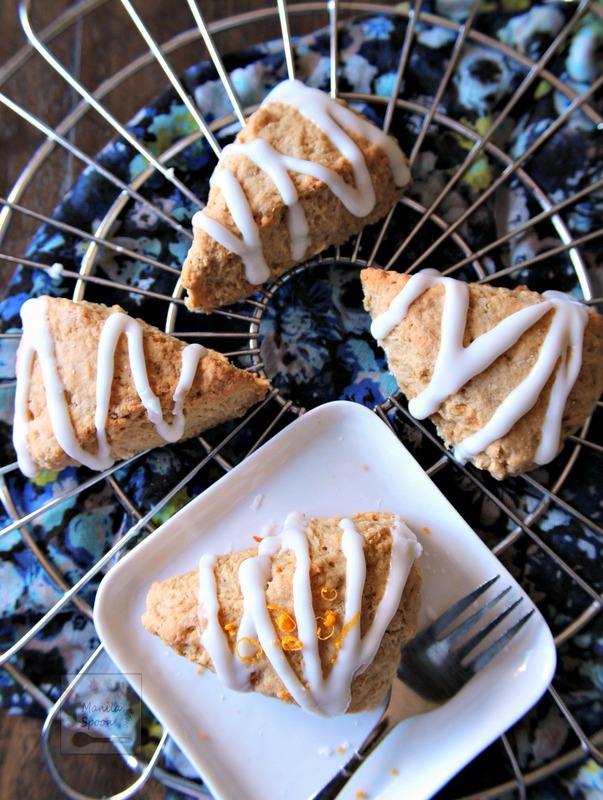 Packed with flavor and easy to make, these delicious Lemon Cardamom Scones are great with your coffee or tea. I am excited about this post! I have joined up with 10 other amazing bloggers for a 30 Day Challenge where each month we decide on a particular theme centered on an ingredient then we come up with a recipe featuring that ingredient. For this month, lemon was the unanimous choice. You will find below the link to recipes from our friends and hope you check them all out. At first, I couldn’t decide whether I wanted to make a savory or sweet dish. I wanted to bake something for sure but it had to be something I haven’t done before or the flavor combination would be something I haven’t tried yet. 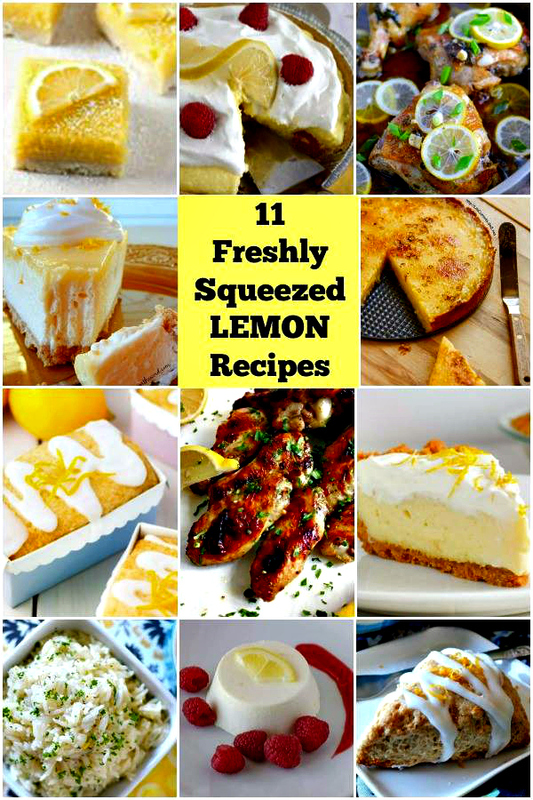 With this in mind, I finally thought that it had to be a baked sweet treat featuring the tastes of tangy lemons and some aromatic spice. If you know me, you’d know that I am such a huge fan of cardamom that every time hubby goes to India or if one of our friends from India come to visit, I make sure that they bring some cardamom pods back home. I thought Lemon and Cardamom would be such a perfect fit though initially I wasn’t sure how it would work. But it did! I brought these scones to our church and those who tried it were wonderfully pleased. This definitely means that the Lemon and Cardamom flavor combo will be featured more often in this blog in the near future. Preheat the oven to 400 F. Lightly grease a baking sheet. Set aside. Mix together the flour, oatmeal, baking powder and baking soda, ground cardamom and salt in a large bowl. Using a pastry blender, cut in the cold butter until the mixture looks like coarse crumbs. In another bowl, mix together the egg and yogurt until combined. Pour the egg mixture into the flour mixture and stir just until everything is moistened. On a lightly floured surface, turn out the dough and gently knead it a few times until it comes together (10-12 times). Pat the dough to an 8-inch circle and cut into 8 wedges. In the prepared baking sheet, place the wedges about 2-inch apart and then transfer to the oven and bake for 12-14 minutes or until the scones look golden brown. Transfer the scones to a wire rack and cool completely. Stir together the powdered sugar and lemon juice until it is smooth and has a glaze consistency. Drizzle the lemon glaze over the cooled scones. Always great with a cuppa! Thanks Janette! 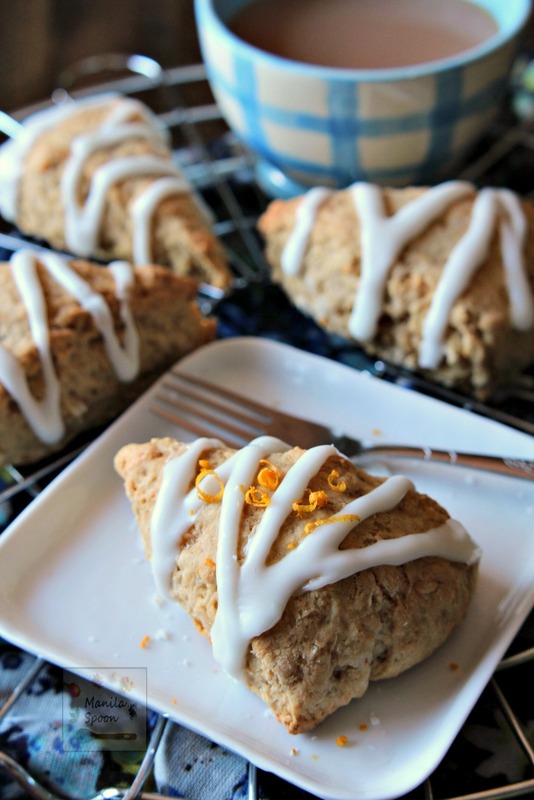 Scones are one of my absolute favorites and with the fresh lemon flavor I would be going for these one after another! 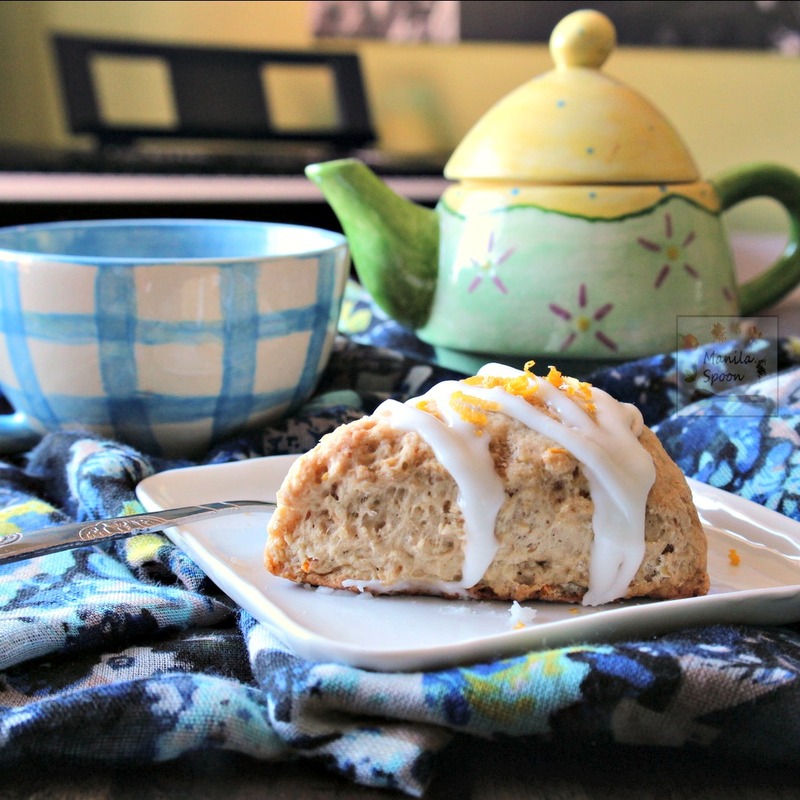 I love scones and I love your lemon/cardamom take on them! I actually don't think I've had a lemons scone, ever, so I need to fix that asap. 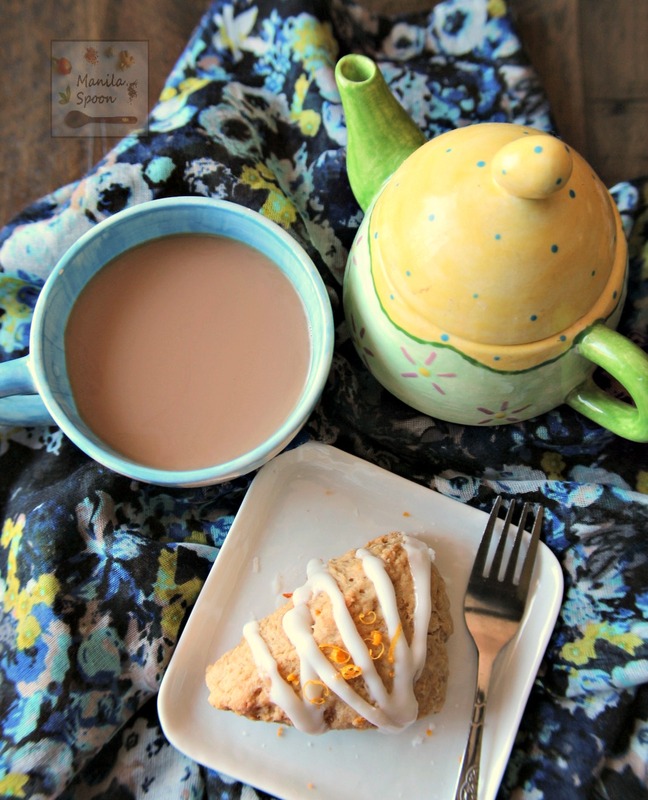 So perfect for breakfast or tea time! What a fun challenge, and a great way to push yourself our of your comfort zone and use something that you might now have used before. These look delicious too! I love cardamom! These scones must not only taste amazing, but I bet they smell superb as they bake! I love a good scone recipe. This looks delicious! Oh my gosh these are gorgeous what a treat! wow! Now I must make these with my cup of tea! I love how cardamom can add a little warming heat to sweets. 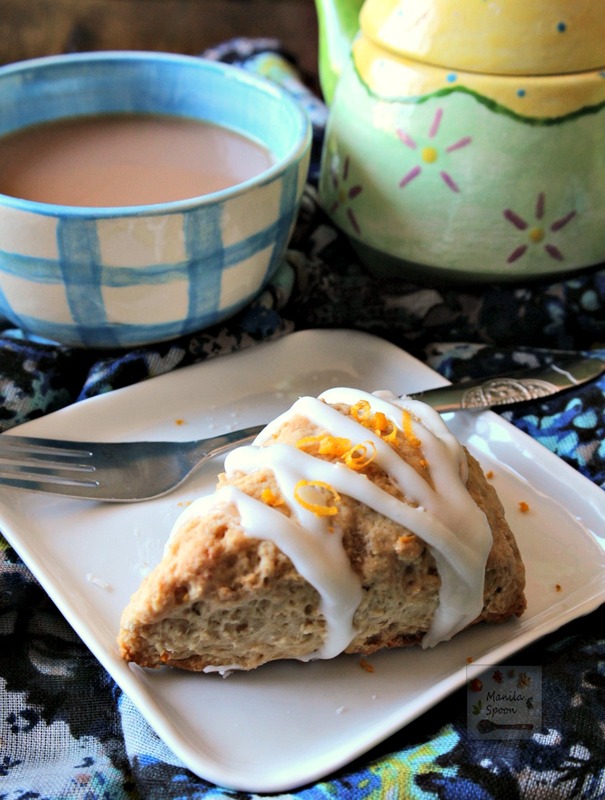 Combining it with lemon scones is an awesome idea. I love scones! These sound so yummy and delicious! Mmm, these look perfect for Sunday brunch!